If you’ve just moved or bought tons of discount appliances during the Black Friday sale, you know how much of a struggle it can be dealing with all those boxes left behind. Chances are you have a lot of different boxes you don’t want to throw away but have no need for any more. Relax, so do thousands of other Americans. But what if you could use the boxes for creative purposes instead of having them gathering dust? 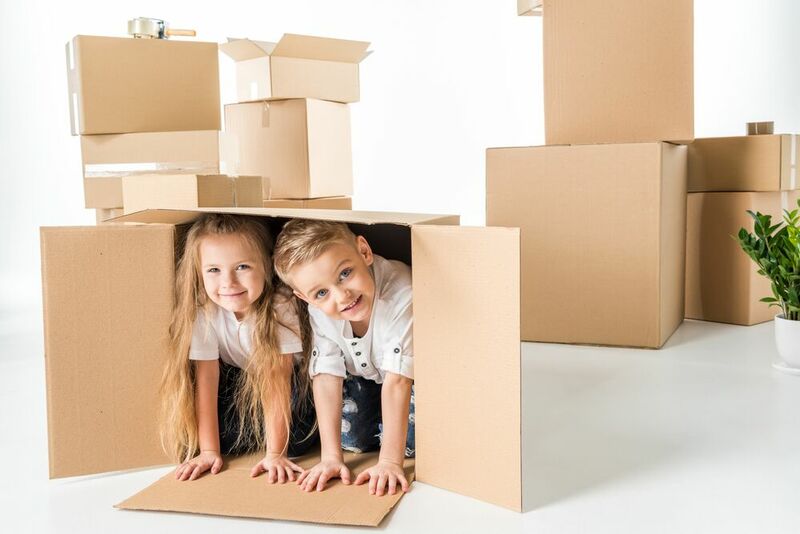 Cardboard boxes come in many styles and sizes, and all of them can be extremely useful if you know how to put them to use. If you want to repurpose those boxes instead of recycling them, in this article, we’ll give you a couple of creative ideas how you can use them. Obviously, the best way to use old boxes is for storage. You could use boxes to store things like old magazines, personal files, clothes you can’t fit into or don’t need this season, dishes you only take out for special occasions, old toys or Halloween costumes and other items you don’t use every day. Of course, you wouldn’t want old, dull-colored boxes to ruin the look of your home. That’s why you should decorate them a bit before repurposing them for storage. Use paint or decorative paper to breathe new life into those old boxes. It’s hard to believe that children used to play with anything else other than smartphones once upon a time. Why not show them how kids used to play when times were simpler. Cardboard boxes make for excellent dollhouses, forts, playhouses or make-believe trains. You can also use them to build an obstacle course for a laser-tag game. Boxes can also be used for a killer Halloween robot costume. All you need is a little bit of glue, spray color and a couple of markers. You could even go one step further and add led lights. The only limit is your imaginations. Everyone knows cats and dogs both love boxes, and enjoy playing with them and taking a cozy nap there. They can be used to make great pet houses, but your cat will appreciate if you just leave it out like it is. The cardboard can also be used to create a cheap scratching post for your cat. Another fairly obvious choice is repurposing old cardboard boxes to create Christmas presents like those you see in commercials or on the Internet. A great part of the Christmas gift is getting to unwrap it, so why not do more than just wrap it in paper or put it in a fancy bag. Everyone, especially kids, will appreciate getting to unwrap a classic, bulky Christmas present. The main purpose of any box is to protect the item that came with it, so why not use them as originally intended. If you mail a lot of stuff all through the year, you can use the cardboard to protect the items you’re sending. You can also use cut-out cardboard to protect photographs or documents you’re mailing.